Moore was one of the three Childress siblings that formed a platform tennis dynasty stretching from 1936 to 1974, and was a fine tennis player. She loved our game and did very well at it. She won the Woman’s six times, the first in 1937 with her sister Sally, then was a finalist in 1940-1942 with Mrs. Burr Price. At that point there was a six- year hiatus in the Women’s Nationals because of war-time travel difficulties. When play restarted in 1949, she began a winning partnership with her other sister, Madge, that led to five titles and one finalist finish in 1950. She won the Mixed in 1946 with Lamar Fearing, and was runner up in 1939 and 1951. In National Woman’s Doubles, only her sister Madge has won or been a finalist more times. In the twenty-nine Woman’s Nationals played from 1935-1969 she, one of her sisters (Madge or Sally), or her niece (Susan Beck Wasch), have been finalists in twenty-two. She was part of a family that thrived on competition. She was a “beautifully steady” player with a tremendous forehand, a great cross course shot and she never gave up. The record proves that. In tennis, she won the New Hampshire Singles four times since 1965, had a number ten ranking nationally in the Senior Woman’s Doubles, and had been ranked in the top fifteen in the New England States Woman’s Singles twice. For years she was the premier woman’s tennis player at the Fox Meadow Tennis Club in Scarsdale and took the time and the effort to coach young people there. Moore was born in Scarsdale, NY where she spent her childhood and married life. 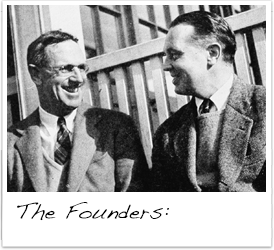 She graduated from the Spence School in New York City and founded The Maizie Shop in Hartsdale, NY in the 1940s. 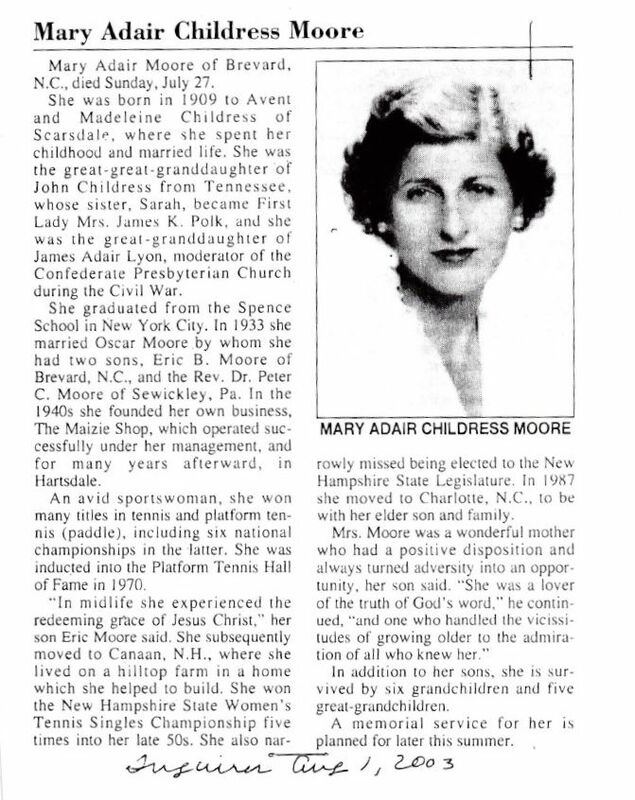 Footnote: Maizie was Hall of Fame honoree Oscar Moore’s first wife.